Whether you with in the pharmaceutical, life sciences, food and beverage, cosmetic or any other industry or field that uses high pressure homogenization, you know that getting the efficient fluid processing equipment is critical to the integrity of your application — and ultimately, the success of your efforts. 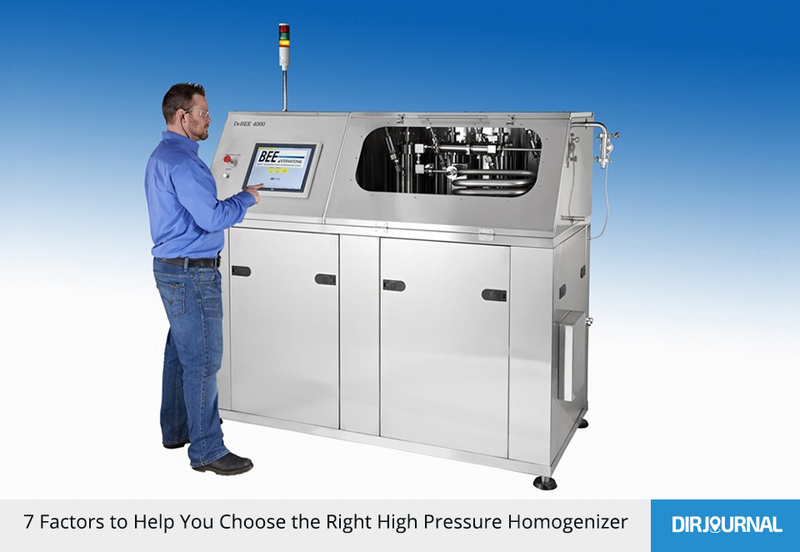 Some high pressure homogenizers are more suitable for manufacture-ready applications (i.e. if you are mass producing a product that has already been approved for market), while others are better suited for R&D applications, and so on. Use this criterion to help you narrow your focus to a shortlist of models to consider. If you need to handle a high volume of samples, then you should focus on a high pressure homogenizer to optimize processing efficiency. Also keep in mind that higher motor power usually means lower noise levels, which may be beneficial or required depending on your work environment. Identifying your necessary or desired tube capacity, along with the speed at which they must be mixed, will help you further refine your focus and evaluate models that fit your application. While many high pressure homogenizers can produce emulsions, dispersions and suspensions at particle sizes of 100 µm or more, there are relatively few models in the marketplace that can do this down to 0.1 µm. This is an important consideration if you are synthetizing products such as vaccines, inhalants, anaesthetics, and targeted drug delivery. Ensure that you choose a high pressure homogenizer that uses leading-edge technology to deliver reliable and consistent results. It should also be manufactured and supported by a reputable company that specializes in this area, and that provides initial and ongoing end user training. You should be able to re-configure the homogenizing cell setup to suit your specific application and processing objectives. Last but not least, your high pressure homogenizer should be simple to clean and maintain, and support a Clean in Place (CIP) system if you are in a field where sanitization standards are regulated and paramount. While your work is no doubt complicated, choosing the right high pressure homogenizer should be streamlined, straightforward and stress-free. The factors noted above will help you focus on manufacturers and models that fit your current needs, and support your future goals.